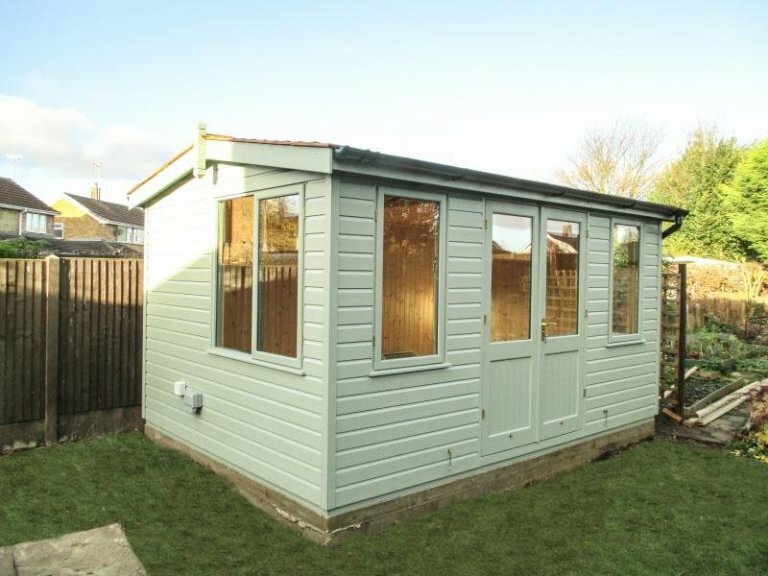 This Langham Studio is 3.0 x 4.2m and it has been installed in our customer’s garden in Newark, Nottinghamshire to use as a hobby room to fit his model railway layout inside, with space for him to work on creating his models too. 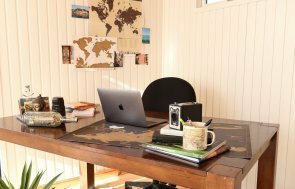 The workbench is only small, and fits in the right-hand corner, underneath the windows, but it will give the customer the room that he needs to create his models on. 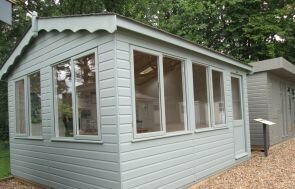 As part of our Garden Studio range, this Langham comes with full insulation, matchboard lining, double glazing, and draught excluders in the doors and windows to allow the customer to work on their hobby all through the year. To help with this, the customer also chose to have our electric pack with a heater to make sure he is kept warm, even in the winter. The roof has got cedar shingle tiles on to give a natural, attractive look, and the paint colour is Sage, which is from our Valtti Paint Range. Our Langham’s are often chosen by customers for use as a hobby room or an office because of the desk height windows that allow you to still be able to see out of the windows as you’re working. You can view our full range of garden buildings across our website. All of which can be designed to your exact needs and requirements.